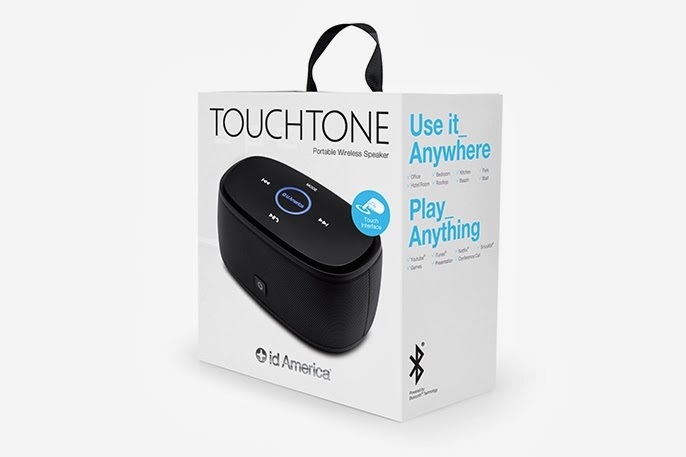 We have received the Touchtone from id America, their wireless bluetooth speaker that gets it's name from the touch controls on the top of the unit. 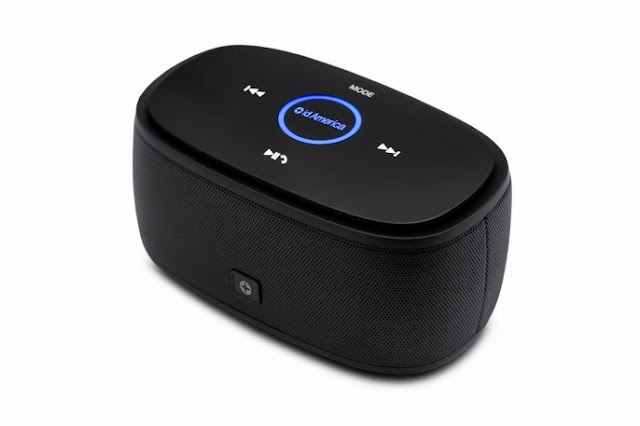 This portable speaker is equipped with two 4 watt drivers to provide loud and clear sound around the house or outside and should you want to connect from a device that does not have bluetooth capabilities, an included auxiliary in cable allows for playback. 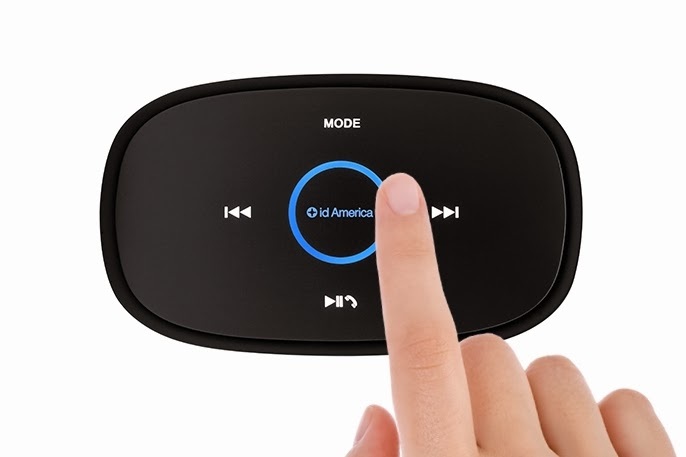 While many wireless speakers offer some sort of limited onboard controls, the Touchtone allows you to change volume, track, input, and the ability to take or end calls without access to your phone, so let's see how it holds up to my vast playlist. I was pleasantly surprised by the sound that this small palm sized speaker puts out as it is not only loud and clear, but also put out a pretty wide range, equivalent to that of speakers almost twice it's size. The room filling sound comes directly from the 4 watt dual drivers with the depth coming from the port underneath the touch controls. Speaking of touch controls, they work incredibly and while I was not a fan at first due to the lack of click or response when pressed, but when pausing, answering calls or changing tracks the illuminated controls blink to show the gesture was registered. While I did feel a bit dense that it took me a while to figure out the volume controls, for anyone also unable to figure it out you are done by running your finger around the blue ring clockwise or counterclockwise, and it was refreshing to see id America use similar controls to that of the previous iPods. The Touchtone is a powerful speaker that packs a punch for its small stature and price tag. Though the only downside would have to be the amount of time I got on a full charge, which was about four hours based on the volume, that is once I figured out how to adjust it. This was also the first portable speaker which has the ability to change inputs at a touch of a button without having to unplug the auxiliary in cable to go back to wireless playback. Id America has once again provided a product that is both unique and functional while incorporating the stand out designs that they are known for. Earlier I stated that this speaker packed a punch without hurting your wallet, doing so with a price point of $79.95 and is available in either black or white.